The line at Cross Lane Polling Station at the Firehouse at 7:45 a.m. this morning. Photo by M. Seidner. 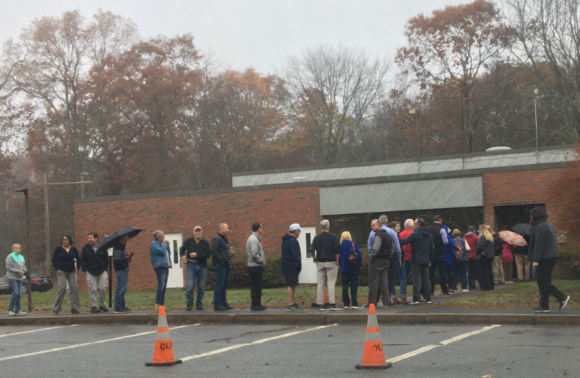 We are receiving numerous accounts of long lines throughout the day and early evening at the Polling Station at the Cross Lane Firehouse in Old Lyme. Despite the large numbers, there were many favorable comments on the efficiency of the volunteer election workers. Old Lyme printed 5,000 ballots but had used over 3,000 of them by around 4:30 p.m.
Emily Berber Bjornberg reports that Lyme passed the 75 percent participation mark just before 5:40 p.m. In keeping with a long tradition and in the interests of increasing voter knowledge prior to next week’s critically important mid-term elections, we asked all the candidates whose districts include Lyme and/or Old Lyme to send us a brief biography and photo, and answer four questions that we posed to them. The questions came from you — our large and diverse community of readers. We were overwhelmed by the sheer number of questions you sent to us, which we interpret as a clear sign of the level of interest in this election, and are extremely disappointed we could not include more of your questions. We are delighted to report that all six candidates responded to our questionnaire and are pleased now to publish their responses. We would like to express our sincere thanks to the candidates for taking the time to answer our questions and for adhering to our strict word deadlines — 100 words for the bio and 300 words for each response. What is the biggest problem facing the state, why is it the biggest problem, and what would you do to help solve it? What do you think of our leadership in Washington? What policies or infrastructure do you support at the state level for fostering or managing growth in you district? Click on the candidate’s name above to read their biography and responses to our questions. For the record and again in keeping with a long tradition, we will not be making any candidate endorsements. Happy reading … and voting! Editor’s Note: We are providing this link to an article by Christine Stuart published on CTNewsJunkie.com Oct. 24, since it pertains to the senate race affecting the residents of Lyme. CTNewsJunkie.com is a fellow member of the Local Independent Online News (LION) publishers national organization and we are pleased occasionally to cross-publish our stories. The 20th Senate District debate will be held Monday, Oct. 15, at 7 p.m. at the Charter Oak Credit Union headquarters, Waterford, and features incumbent state Sen. Paul Formica (R), who is running for a second term, and challenger Martha Marx (D). The district includes Old Lyme. The 33rd Senate District debate will be held Thursday, Oct. 25, at Old Saybrook High School and features state Rep. Melissa H. Ziobron, (R-34th) and Essex First Selectman Norm Needleman, (D). Incumbent state Sen. Art Linares is not seeking re-election in the 33rd Senate District. He was unsuccessful in his attempt to be nominated as the Republican candidate for state treasurer. The district includes Lyme. Both debates start at 7 p.m. and are open to the public. Admission is free. Visit this link on the day.com for more information about all the debates. State Senate 33rd Democratic candidate Norm Needleman. State Senate 33rd District Republican candidate Melissa Ziobron. he debate will take place Tuesday, Oct. 16, from 6:30 to 8 p.m. at Bacon Academy in Colchester, Conn. Admission is free and all are welcome. From 6:30 to 7 p.m., there will be a meet-and-greet with State Representative candidates in the auditorium lobby. From 7 to 8 p.m., the debate will take place in the auditorium with Democratic candidate Norm Needleman, who is currently First Selectman of Essex, and Republican candidate State Rep. Melissa Ziobron, who represents the 34th Connecticut House District. Incumbent Senator Art Linares (R) is not seeking re-election. The Senate 33rd District includes Lyme along with Chester, Clinton, Colchester, Deep River, East Haddam, East Hampton, Essex, Haddam, Old Saybrook, Portland, and Westbrook. All candidates for the 33rd District State Senate race are welcome to participate in the debate as long as they have filed paperwork to be on the ballot with the Secretary of the State’s office by Oct. 1. For further information, email mkeho399@colchesterct.org. 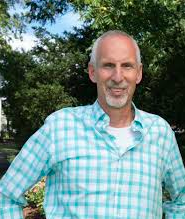 NARAL Pro-Choice America, one of the nation’s leading women’s health advocacy organizations, has announced its endorsement of Norm Needleman for the 33rd District State Senate seat in Connecticut. The 33rd District includes the Town of Lyme. 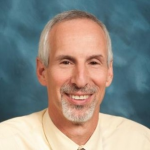 Needleman is the Democratic candidate for the 33rd State Senate District, which consists of the towns of Chester, Clinton, Colchester, Deep River, East Haddam, East Hampton, Essex, Haddam, Lyme, Portland, Westbrook, and part of Old Saybrook. Needleman is the founder and CEO of Tower Laboratories, a manufacturing business. As CEO, he has built the business to become a leader in its field, employing over 225 people. Atty. Jeannine Lewis is sworn in as Judge of Probate for Saybrook Probate District by Old Saybrook First Selectman Carl Fortuna. 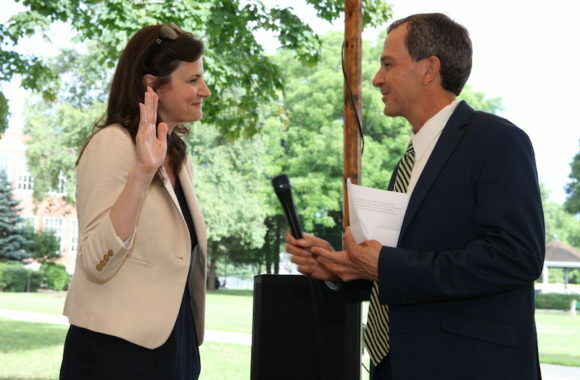 On Monday, July 23, Essex Attorney Jeannine Lewis was sworn in as the next judge of probate for the Saybrook Probate District in a ceremony held on the town green in Old Saybrook. The swearing-in was performed by Old Saybrook First Selectman Carl P. Fortuna, Jr.
Attorney Lewis was elected in November to fill the remaining term of Hon. Terrence B. Lomme, who retired the same week after eight years in service to the district. The Saybrook Probate District encompasses the Town of Lyme along with the Towns of Chester, Clinton, Deep River, Essex, Haddam, Killingworth, Old Saybrook and Westbrook. Attorney Lewis has focused her legal career on the types of cases typically handled by the probate court. She is particularly concerned with ensuring that the rights of the most vulnerable individuals who appear before the court are respected and upheld including the rights of the elderly, disabled, mentally ill, and minor children. She has been actively involved in educating other attorneys regarding elder law and estate planning as immediate past chair of the Connecticut Bar Association’s Elder Law Section Continuing Legal Education Committee. In addition, she is a contributing author of the manual used online by Connecticut’s Probate Court Administration to help train attorneys on how to properly represent clients in probate court. 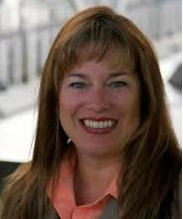 As a result of these accomplishments she was appointed to the Probate Court Administration’s Conservatorship Guidelines Committee, which developed standards of practice for Connecticut conservators that were published on July 1 of this year. As a 17-year-resident of Essex, Lewis is also an active community member. She is a board member for the Shoreline Soup Kitchens and Food Pantries and has been a meal site server for the organization for more than 10 years. In addition she is a community lecturer on end-of-life issues and the pro bono attorney for Sister Cities Essex Haiti. Judge Lewis is running unopposed in the upcoming November election for a full four-year term as probate judge for the Saybrook Probate District. For more information about Lewis and her qualifications, visit www.lewisforprobate.com. State Representative Devin Carney (R-23) earned a perfect voting record during the 2018 legislative session. There were 317 votes taken this year according to information released by the House Clerk’s office. 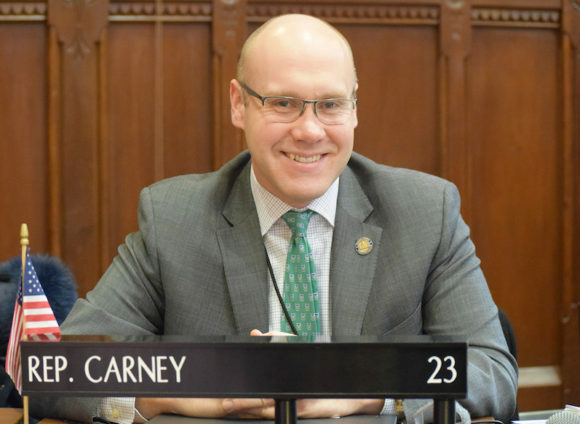 Rep. Carney currently serves as ranking member of the Transportation Committee, is on the Environment Committee and the Finance, Revenue and Bonding Committee. For an overview of important legislation addressed in the 2018 legislative session, visit the Office of Legislative Research website at www.cga.ct.gov/olr. Anyone with questions, ideas or concerns about state-related issues can contact Rep. Carney’s office at Devin.Carney@housegop.ct.gov or 860-240-8700. 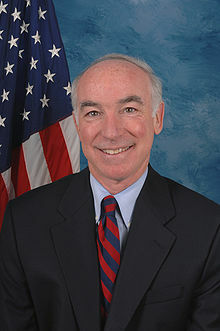 The Lyme Democratic Committee (DTC) – together with the DTCs of Old Lyme and Old Saybrook – is holding a reception to honor Congressman Joe Courtney on Saturday, June 30, from noon till 2 p.m., in Old Lyme. The event will be held at the home of Alison Mitchel at 21 Lieutenant River Lane, Old Lyme. All are welcome but RSVP’s to Nick Boreen at nicholas.d.boreen@gmail.com are requested. Suggested contribution levels start at $25. Hot dogs and hamburgers will be grilled, there will be some entertainment, and Congressman Courtney and other invited mid-term election candidates will address the attendees. State Representative Devin Carney (R-23rd) and State Senator Paul Formica (R-20th) will hold office hours at the Phoebe Griffin Noyes Library, located at 2 Library Lane in Old Lyme on Saturday, June 16, 2018 from 11:30 a.m. – 12:30 p.m. This session will provide constituents with an opportunity to ask questions or share their ideas and concerns about state government, the state budget as well as the 2018 Legislative Session, which concluded in May. For more information, contact Carney’s office at 800-842-1423 or by email at devin.carney@housegop.ct.gov and Formica at 860-842-1421 or by email at Paul.Formica@cga.ct.gov. Matt Pugliese has received the endorsement of Run for Something (RfS), the groundbreaking organization that recruits and supports strong voices in the next generation of progressive leadership. “I am excited and honored to be endorsed by Run for Something. Hearing about the work that was being done by this organization to help encourage candidates to step forward was a motivating force in my own decision to run for office. I want to work to make a difference in our community. This is a crucial moment in our state and our nation. I’m proud to be among the candidates stepping forward,” said Pugliese. 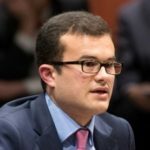 Amanda Litman and Ross Morales Rocketto launched RfS on Jan. 20, 2017 with a premise to help young diverse progressives to run for down-ballot races in order to build a bench for the future. RfS aims to lower the barriers to entry for these candidates by helping them with seed money, organization building, and access to trainings needed to be successful. So far, about 18,000 young people from across the country have signed up as candidates and gained access to RfS resources. Run for Something recruits and supports talented, young people who advocate for progressive values now and for the next 30 years, with the ultimate goal of building a progressive bench. Matt Pugliese is running for State Representative in the 23rd District. Pugliese is a non-profit theatre arts administrator and Chair of the Old Saybrook Economic Development Commission. He holds his Masters in Public Administration from UCONN and lives in Old Saybrook with his wife and their two daughters. Learn more at mattpugliesect.com and at Facebook, Twitter and Instagram at mattpugliesect. Celebrating Devin Carney’s unanimous endorsement as Republican candidate for the 23rd District are, from left to right, Cathy Carter, Dave Evers, Dan Montano, Carney, and Jackie Miano. 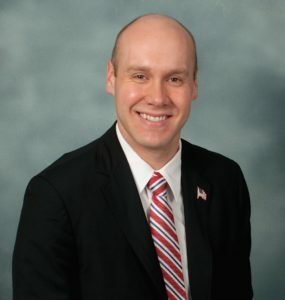 State Representative Devin Carney received the unanimous endorsement of the Republican delegates representing Lyme, Old Lyme, Old Saybrook, and coastal Westbrook at the 23rd District convention on Wednesday, May 16. The convention was held at the Teresa Mulvey Municipal Building in Westbrook. Carney was nominated by Old Saybrook First Selectman Carl Fortuna. 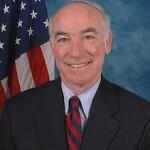 In only his second term, Carney was named the highest ranked House Republican of the Transportation Committee where he has advocated for roadway improvements, local public transportation, and highway safety. In addition, he used that role to campaign against the Federal Railroad Administration’s NEC Future plan bypass, which would have devastated Southeastern Connecticut. 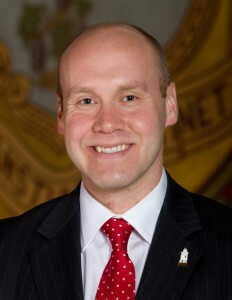 “Serving in leadership on the Transportation Committee has given me the unique opportunity to fight for local transportation concerns, including Shore Line East and 9-Town Transit, and also to call attention to issues that affect the region such as I-95 safety and the FRA’s NEC Future proposal,” added Carney. Carney also serves on the Finance, Revenue and Bonding Committee and the Environment Committee. 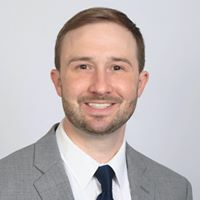 Last year, Carney was recognized by the Connecticut Counseling Association with their “Legislative Service Award” for his work in support of licensed professional counselors and for supporting efforts to curb elder abuse and to combat the state’s opioid epidemic. Carney also co-founded the legislature’s bipartisan Young Legislators Caucus and the bipartisan Clean Energy Caucus. 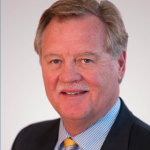 Carney is active in many community organizations including serving on the Board of Trustees at the Katharine Hepburn Cultural Arts Center, on the Board of Saye Brook Village senior housing, and as a member of both the Old Saybrook and Lyme-Old Lyme Chambers of Commerce. “As the next phase of the election begins, I look forward to discussing my accomplishments and bringing my message of fiscal stability and economic growth to each and every doorstep in the 23rd District,” said Carney. Last Wednesday, delegates from the 23rd District unanimously nominated Matt Pugliese (fourth from right) as the Democratic candidate for the 23rd State House District. Photo by Janis Esty. 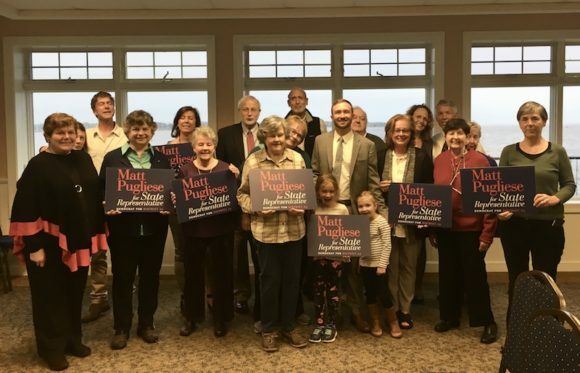 On Wednesday, May 16, at a convention held in Old Saybrook at the Vicky Duffy Pavilion, Matt Pugliese accepted the Democratic nomination to represent the 23rd House District in the upcoming November election. The District includes Lyme, Old Lyme, Old Saybrook and the southern portion of Westbrook. Democrat Matt Pugliese will challenge Devin Carney on Nov. 6. Pugliese, a non-profit arts executive, announced his candidacy in early March. He is challenging incumbent Devin Carney-R, who is running for a third term. 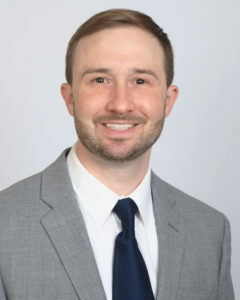 Pugliese, the Executive Producer and Managing Director of Connecticut Repertory Theatre, serves as the Chair of Old Saybrook’s Economic Development Commission. 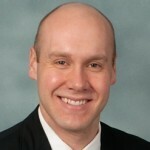 He holds his BA in Theatre and his Masters in Public Administration, both from UConn. Pugliese’s formal nomination drew praise and remarks from others in attendance including Old Lyme Selectwoman Mary Jo Nosal and Mary Stone from Lyme, who was herself a candidate for the 23rd District in 2014. The delegates in attendance unanimously voted to select Pugliese as the candidate. 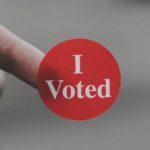 Pugliese, who is participating in the public funding option in the Citizen’s Election Program, announced that he had raised the required funds to qualify. “Despite repeated confirmation that Iran is following the nuclear deal from UN weapons inspectors on the ground, to the President’s own Secretary of Defense, James Mattis, and our closest allies, President Trump has recklessly decided to pull the U.S. out of the agreement,” said Courtney. State Rep. Devin Carney testifies in the House. 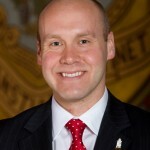 On Wednesday, April 19, State Representative Devin Carney (R-23), voted in favor of H.B. 5386, An Act Concerning Pay Equity and Fairness. 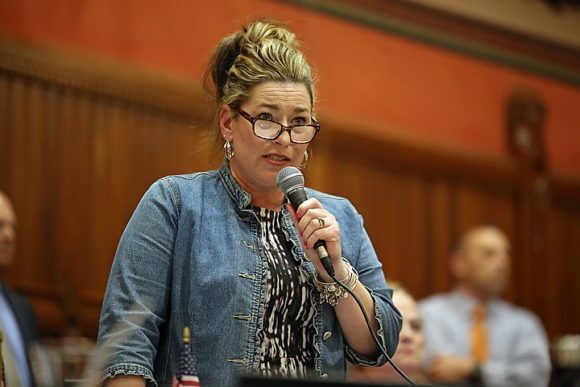 The bill aims to strengthen labor protections for employees in an effort to discourage gender wage discrimination in Connecticut. The bill would prohibit employees from asking about a prospective employee’s wage history, unless the prospective employee voluntarily discloses the information or the employer is authorized by law to ask. In Connecticut, the average woman will make $529,000 less in earning over her lifetime than a male and it is estimated that women in Connecticut lose a combined $5.5 billion due to the wage gap. Although the law makes changes to the hiring process, the Connecticut Business & Industry Association helped the lawmakers reach the compromise and supports the measure. H.B. 5386, as amended by LCO 3879, passed the House of Representatives by a vote of 142-4-4. After its passage in the House, H.B. 5386 now heads to the State Senate for consideration. Anyone with questions, ideas or concerns about state-related issues can contact Representative Carney’s office at Devin.Carney@housegop.ct.gov or 860-240-8700. State Senator Art Linares announced that the legislature’s Appropriations Committee has approved a bill he requested to study the long-term financial impact of state employees’ and elected officials’ pay and benefit compensation on the state. The bill now moves to the Senate for consideration. 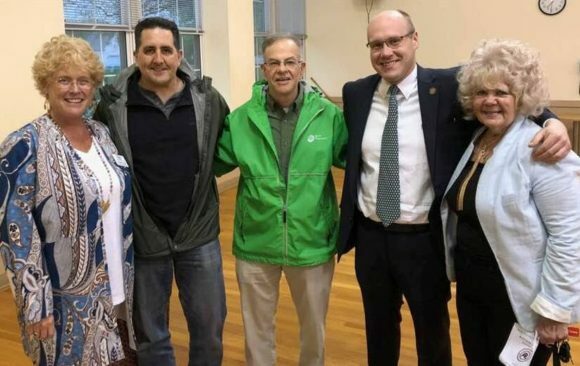 Sen. Linares represents the community of Lyme as well as those of Chester, Clinton, Colchester, Deep River, East Haddam, East Hampton, Essex, Haddam, Old Saybrook, Portland and Westbrook. State Representative Devin Carney and State Senator Paul Formica will hold a Legislative Update at the Vicki Duffy Pavilion, 150 College Street, Old Saybrook on Thursday, April 5, from 8 to 9 a.m. This event is being hosted by the Old Saybrook Chamber of Commerce and all Lyme-Old Lyme Chamber of Commerce members are welcome to attend, as well as the general public. in Hartford. Time will be allotted for Q&A. Rep. Carney testifies Feb. 26 in support of SB 180: An Act Requiring Executive and Legislative Review of Certain Quasi-Public Agency Contracts. 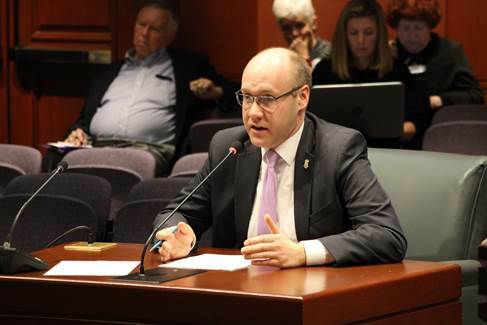 While testifying before the GAE Committee Rep. Carney pointed to the Connecticut Airport Authority and the CT Lottery as two examples of this current issue with “quasi-public” agencies. 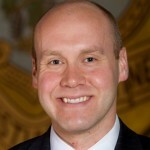 Rep. Carney said that this proposal would allow for more transparency and oversight, which Connecticut residents desperately need as they are feeling the burden of the state budget and, at times, asked to pay more. He added, “There is no reason these quasi-public agencies are allowed to avoid tough questions about their practices and provide answers surrounding bloated pay and benefits while others are asked to cut and save wherever possible.